Inside isn’t just some incremental improvement over the basic premise of Limbo, it’s one of the best puzzle-platformers ever made. From its brilliant puzzle design, which finds a way to balance constant progress and momentum with puzzles that require deep thought, to its gorgeous lighting effects, this is the type of game that demonstrates why the indie development scene is something special. Combine a highly compelling visual narrative with superb puzzles and brilliant platforming, and you have Inside, one of the most intriguing, addictive, and beautiful-looking games of this generation. Its only downside is that it's quite short, but while it lasts, it's absolutely glorious. It should go without saying that Inside is an easy choice for anybody who enjoyed Limbo. At its most basic, Playdead’s newest presentation is a continuation of its prior work – a macabre puzzle-platformer with a gloomy visual style and forsaking atmosphere. Looking at and playing Inside gives the feeling that every surface, every animation, every light and pixel were placed and replaced until they all fit together just right. You see where the six years went. I can't even picture what kind of game Playdead could make another six years from now. 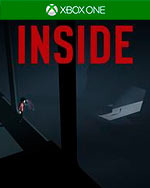 Inside is a great game, there’s no denying that. However, it’s not for everyone. 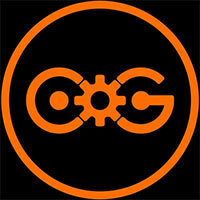 If you’re not into problem solving, this game is not what you’re looking for. Throughout the game, there was only one section that really stumped me – beyond this, I was able to solve most of the problems with minimal issues. You’ll also need to make peace with the fact that you’ll die, a lot (according to the Achievements hub, I died 53 times in my first playthrough!). Inside very clearly builds upon what made Limbo great, and in fact builds something greater. Its unimaginable twist may leave you dumbfounded, confused, and quite possibly speechless, but it will fuel heated discussion with your friends about its meaning, its message, and its intentions. It’s a short ride, but one I felt compelled to take again – including a search for its mysterious hidden orb collectibles. Play it soon before anyone spoils a single big moment for you. The real achievement of this game, though, is the way that it crafts its narrative: detailed environments convey the bizarre world that you travel through; introspective moments are filled with minimalist sound design and just the barest touches of music; and the things you must do to complete your journey force you to confront the realities of humanity, freedom, and existence. Inside delights from start to finish. Don't miss out on what will surely be one of the best games of this generation. Inside's nightmarish journey is fascinating and frightening in equal measure. This puzzle platformer is easily consumed, but digesting its disturbing world will be a contemplative challenge. Inside can be looked at as a mirror-image to Limbo. Whereas Limbo focused more on punishing puzzles, Inside deals more with meticulous movement. While Limbo?s simple graphics made it easy for players to focus on the task at hand, Inside distracts them with a world that is as much a character as the protagonist. And as Limbo left its conclusion up in the air, Inside might have you questioning the purpose of your journey when you reach the fixed ending. Inside has excellent gameplay, thoughtful puzzles, and deadly obstacles that are entertaining to avoid – but it feels wrong to call the game “fun.” The full experience, from its opening moments to a finale that left my mouth agape, is a strangely uncomfortable one. The world’s implied history immediately pulled me in, and it’s an experience I can’t put out of my head. Inside stands on its own merits as a superbly captivating and moving experience, one that's bound to be on your mind in the time you spend away from it. Someone once told me that the games you can't stop thinking about when you're not playing them are the truly great ones. I'm inclined to agree. Inside fits that mold even though we've seen others of its ilk before. Although not the breakthrough that was Limbo back in 2010, Inside is nonetheless a beautifully-crafted refinement of that experience. The art direction is just as haunting, but in a way that's entirely its own. The amazing musical score can be transporting while at the same time oppressive. And the big finale is open to interpretation in the best way possible. By every conceivable metric, Inside improves on the groundwork laid by Limbo. It deftly balances its elements. It could so easily have been too dark, too funny, too preachy — but it always stops just shy of going too far in any of those directions. At a glance, you could be forgiven for thinking that it hews a little too close to its predecessor. 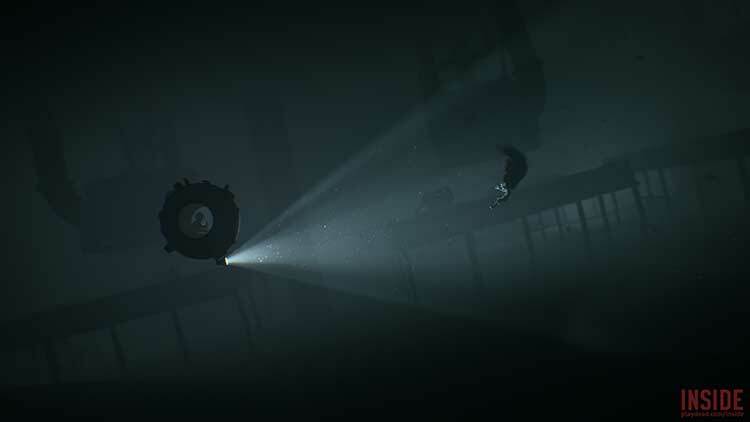 Inside is very much a near-perfect follow up to 2010's excellent Limbo. The game has the same dark, malevolent feel, and it expands on its predecessor's puzzle platforming in new and interesting ways. It does have a few of the same faults, such as a short runtime, and the overall experience isn't quite as blissfully satisfying, but Inside is a great game from start to finish. Inside is a dark story about a dystopian future, and rarely has a game with this little narrative exposure felt so real. That speaks volumes of the studio's narrative and artistic ability. However, if you're expecting something completely different compared to Limbo, you'll likely be a little disappointed, but that still doesn't stop Inside from truly soaring, even above its illustrious predecessor. Visually though this is one of the most impressive games of the year, with the subtle animation and sparing use of colour telling you all you need to know about the situation without a word of dialogue. Inside isn’t a fun video game, but it is a clever and intelligent one. And despite how long it’s been since Limbo it’s telling that nobody has managed to perfect that formula as well as Playdead. Inside is not for those looking for hours of fun, opting instead to channel the ‘games as art’ mentality that has been debated into the dirt. It’s a game that people will be trying to figure out the meaning to for months to come. Should the limited content and depressing setting not put you off, this is one piece of avant-garde gaming that’s definitely worth experiencing for yourself. A mysterious, malevolent and compelling world created by sheer dint of the imagination and skill the visual storytelling on display in the environments. Clever puzzles, each carefully introduced via a perfect learning curve. Full of tension-filled, eerie and awe-inspiring moments that will make the hair stand up on the back of your neck. That ending. Man, THAT ENDING. Probably one of the most amazing gaming sequences ever. I only stumbled a handful of times, and often the solution was very obvious, but the way in which each mind-bending impediment is presented to you is in strokes of design genius. But at some point you get the feeling Playdead maybe didn’t know how to solve their own mystery and the game wraps up in a messy, unusual and unsatisfying way. Inside es original, meticuloso, estéticamente impecable con sus claroscuros, profunidad, fotografía, diseño de sonido y sistema de juego. Me hubiera encantado que sus mecánicas se desarrollaran completamente. Sin embargo, se ganó un merecido lugar en lo mejor del año gracias a todas sus virtudes. Es extraño descubrir goce en lo que nos aterra y genera ansiedad, pero este juego consigue generar emociones por medio no sólo de su sombrío contexto, sino con sus mecánicas. Como ya hemos dicho, Inside es la evolución natural de Limbo. 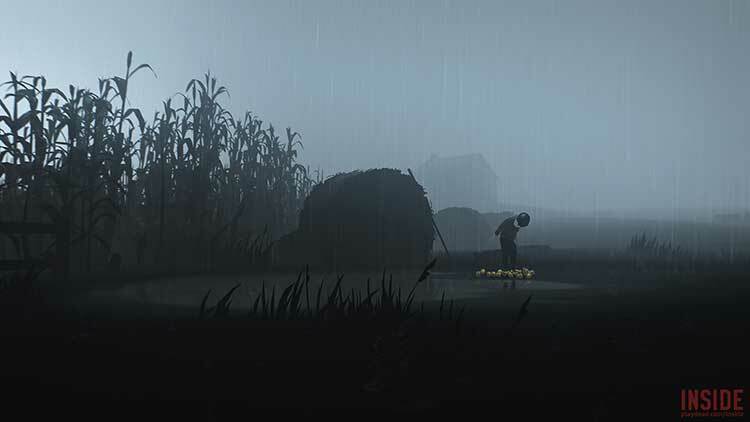 Partiendo de su base, Playdead ha conseguido mejorarla en todos sus apartados y llevarla un paso más allá, dando como resultado un juegazo con una ambientación tan especial y fascinante como oscura y perturbadora. 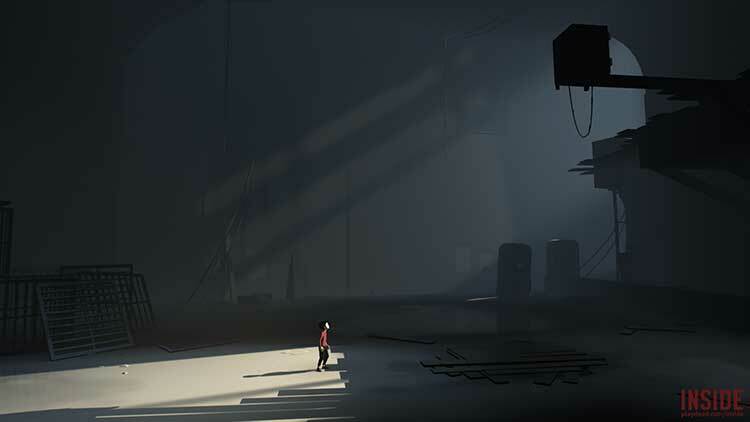 Si PlayDead revolucionó hace seis años la escena independiente en consolas con Limbo, en la coyuntura actual en la que lo juegos indies se codean con las grandes superproducciones en cuanto a interés y aceptación de público y crítica, Inside se posiciona en el escalón más alto de la pirámide, mirando desde arriba a un mercado indie que ha cambiado y que tiene, junto a este y algún otro título más aparecido en los últimos meses, un referente claro de por donde continuar. Inside es un juego que trata al jugador como ser inteligente, dejándonos interpretar la historia que cuenta con libertad, mientras resolvemos puzles de lo más variado, saltamos de acá para allá y sobrevivimos a otro tipo de situaciones límite. Se atreve además, a tocar temas más profundos que en Limbo, invitándonos a un viaje de descubrimiento de un mundo distópico dominado por las diversas tonalidades de gris en más de un aspecto. Exquisito diseño de niveles, mecánicas de juego que funcionan cual reloj suizo, una historia memorable y visuales que te dejarán sin aliento, son solo algunos de los elementos que hacen a esta obra como una que seguramente estará compitiendo de tú a tú por el título de Juego del Año con algunas de las súper producciones que hemos visto en este 2016. Volviendo al principio, yo sí creo que sea posible estudiar los «contextos, estilos y movimientos» del videojuego, y creo que se ha hecho ya; se hace a diario, de hecho. Simplemente no son los estilos y movimientos que nos gustarían. Hay estudios como Playdead que avanzan en esa dirección que anhela la Introducción a la crítica artística del videojuego de la que hablaba al principio; sin dejar a un lado los descubrimientos que hicieron con Limbo, tanto en mecánicas como en temática. Con todo ello, Playdead confirma su talento a la hora de crear títulos con personalidad, diferentes y valientes. Es verdad que tiene tantos puntos en común con Limbo que pierde un poco de factor sorpresa al principio, pero eso se compensa de sobras al final. Y sí, también es verdad que resulta excesivamente corto, pero su desarrollo te va a dar más que hablar y que pensar que muchos juegos con una campaña de 20 horas. Es ist definitiv eines der prägendsten Spiele, die ich in den letzten Jahren erleben durfte. Ein Erlebnis, das ich nicht missen möchte. Weil es mich mit einfachen Mitteln auf eine emotionale Reise mitnimmt, die ich in dieser Intensität nur selten gespürt habe. Après LIMBO, Playdead vise à nouveau très juste avec INSIDE, dont il est clairement l'héritier visuel et spirituel. 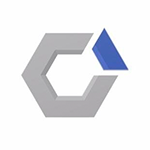 Si le nouveau jeu du studio danois devrait vous offrir de belles tranches de réflexion, c'est surtout pour les émotions qu'il transmet en seulement quelques heures de jeu qu'INSIDE épate. Par ce sens de la mise en scène minimaliste, par cette direction artistique terriblement efficace, par cette narration invisible et elliptique mais aussi par les thèmes abordés. Vous avez aimé mourir dans Limbo, vous adorerez périr dans Inside ! Pour leur second jeu, les Danois de Playdead nous livrent une expérience qui transcende le concept établi par son prédécesseur. Si Limbo nous racontait à sa façon l’histoire d’un garçon prêt à tous les sacrifices pour sauver sa sœur, Inside braque ses projecteurs droit vers son univers dystopique peuplé de figures fantoches, de grands espaces industriels abandonnés et de situations tout aussi sordides qu'haletantes. Inside fait partie de cette race de jeux qui peuvent vous marquer à vie. Dans la lignée de Limbo, Playdead nous livre à nouveau une pure pépite, à la fois artistique et ludique, qui vous emmène quelques heures durant dans un univers fort et marquant, délicieusement noir, original et envoûtant. Que les plus sceptiques se rassurent : Inside est supérieur en quasiment tous points à Limbo, que ce soit au niveau de la prise en main, du moteur physique, de la lisibilité ou de la profondeur thématique, pour prendre les exemples les plus pertinents. Malgré le sérieux et la noirceur des idées évoquées de manière subtile tout au long d'une histoire sans mots, on reste happé jusqu'à la dernière minute par le propos inquiétant comme par le gameplay habilement rythmé. 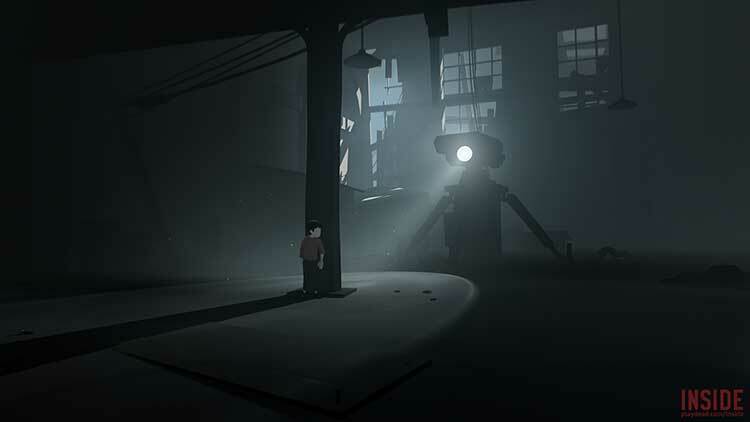 INSIDE è un prodotto di assoluta qualità, che riuscirà a farvi imbarcare in un incredibile viaggio, disturbante e opprimente, in cui ad essere l’assoluto protagonista è il linguaggio visivo di prim’ordine utilizzato da Playdead per raccontare una storia molto particolare. Un modo di sviluppare il videogioco assai diverso rispetto ai classici canoni a cui siamo ormai abituati ma che si è rivelato anche questa volta convincente in molteplici aspetti. INSIDE è infatti l’ennesima conferma di come sia possibile creare qualcosa di davvero “diverso” dal solito anche con idee semplici e funzionali, senza l’abuso di cut-scene o utilizzando chissà quali tecniche narrative particolari. E anche i “problemi” della breve longevità e della relativa scarsa rigiocabilità vanno in secondo piano: si tratta di un’esperienza infatti che va semplicemente vissuta, in primis per la qualità di ciò che vi viene proposto e non per la quantità. Inside è un gioco di un’eleganza rarissima. Praticamente ogni secondo di gioco regala scorci di una potenza visiva e di una precisione di gioco da applausi a scena aperta. Si muove integralmente all’interno del mondo di fare e di intendere dei giochi più piccoli e indipendenti: zero parole, zero missioni, senso di progressione (se esiste) tutto legato alla narrazione (esiste, ma non sono certo di averla compresa, non che sia un problema). Nel suo strano ambito, è un gioco irrinunciabile. Inside ha replicato quanto di buono avevamo già potuto vivere in Limbo e ci ha donato un altro viaggio di alto profilo stilistico, visivamente misterioso e interattivamente inquietante. Il ritmo di gioco è compassato ma efficace nel trasmettere emozioni di paura e incertezza, riuscendo a stimolare tanto la curiosità quanto lo spirito di osservazione del giocatore. Inside ждали почти три года. По-моему, для трехчасовой инди это слишком большой срок. За это время я успел напрочь забыть об игре дважды. О том, что Inside еще существует и что кто-то ее все еще делает, напоминали разве что новые трейлеры во время E3. Раз в год. Разработчики, кажется, даже пальцем не пошевелили, чтобы поддержать интерес к игре — это так же печально, как и сама Inside. К сожалению, Inside не даёт понять, способна ли студия Playdead создать нечто, не используя знакомую формулу. После первого громкого выстрела и последующих шести лет тишины ждёшь, как минимум, взрыва — но раздаётся лишь такой же выстрел, пускай на этот раз «попадание» точнее. Meskipun begitu, Inside tetaplah sebuah game yang amat sangat luar biasa. Dan jika kamu penganut keras kepercayaan “perjalanan lebih penting daripada tujuan,” maka tidak mustahil Inside bisa menjadi sebuah game yang sepenuhnya sempurna di kacamata kamu. Er zitten fantastische puzzels in de game en de game is voor het grootse gedeelte ontzettend leuk en verslavend om te spelen. Als je van Limbo houdt, moet je deze ook spelen. 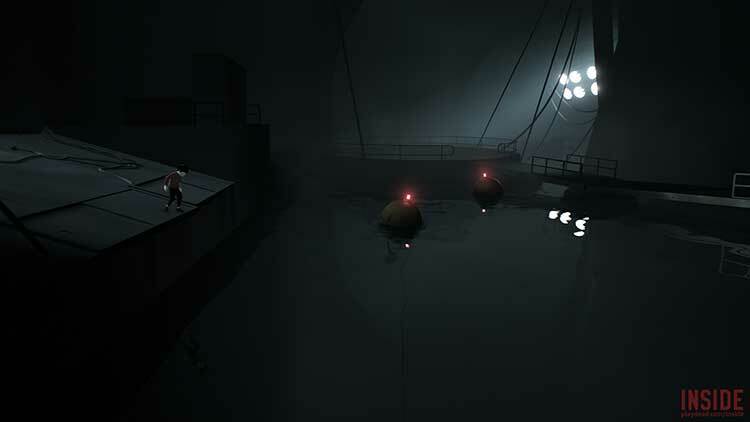 Je ziet de stijl van Playdead terug en gelijktijdig is het een compleet nieuwe en andere game. Het is dus zonde van de foutjes aan het einde van het spel, maar over het geheel genomen is Inside een pareltje! Puzzels zijn simpel genoeg om te begrijpen, zonder ooit echt gemakkelijk te zijn. Daarbij is ieder aspect van de game met dusdanig veel zorg gemaakt, in zoveel detail. Het geheel voelt bij vlagen filmisch aan - iets wat vele games proberen, maar weinigen echt in slagen. Inside’s verhaal is erg open ter interpretatie en zal niet voor iedereen closure geven. Deze game is echter een ervaring die je moet beleven. När ett spel har perfekt bandesign, närmast perfekt karaktärsdesign, fenomenalt narrativ och häpnadsväckande atmosfär, blir resultatet något av det mest fascinerande jag fått uppleva inom spel på senare år. Inside är i vissa stunder lite för kort och lite för enkelt, men sammantaget är det i mina ögon ytterligare ett av tusentals bevis på hur viktig indiescenen är för att hela spelmediet ska fortsätta utvecklas till det bättre.